Maintaining that ceremonies concerning birth, marriage, divorce, property and death the Muslim community were being decided by family influenced by social norms, the All India Muslim Personal Law Board today requested the Supreme Court not to intervene on these issues. 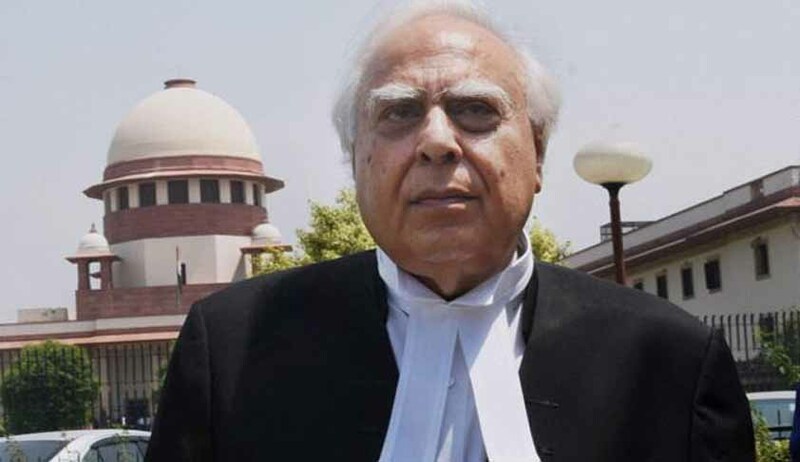 Significantly, on day four of the hearing by the Constitution bench of a batch of petitions challenging the constitution validity of triple talaq, senior counsel Kapil Sibal appearing for the Muslim board said it was considering reforms and gradual giving up of triple talaq but wanted time for it. “Triple Talaq is part of faith for 1400 years”, then Justice Kurian Joseph replied: “May be. But now women have come to us for justice after 1400 years” and asked “If instant talaq is so sacred, why is it excluded from nikah nama ? It also told the court that triple talaq is a matter of faith being practised by Muslims for the last 1,400 years and hence the question of constitutional morality and equity did not arise. It also equated triple talaq with the Hindu belief that Lord Rama was born in Ayodhya. He said triple talaq was also a matter of faith for Muslims just like the Hindus believed that Lord Ram was born in Ayodhya. “Muslim marriage is a contract through nikahnama between consenting adults, so is divorce”, he argued. Slamming the Centre for calling triple talaq “un-Islamic” and not ordained by Quran or constitution, AIMPLB said ceremonies concerning birth, marriage, divorce, property and death are decided by family influenced by social norms. Sibal also reacted to the Centre's stand that the government will enact a law on Muslim divorce if SC quashed talaq in all forms. “What will happen if SC quashed talaq in all forms and then Parliament refused to enact a law? Taking a more aggressive stand, the Centre had yesterday said it was not just opposed to Talaq-ul-Biddat (instantaneous triple talaq) but also the two other forms Talaq-Ahsan and Talaq Hasan (in which there is provision for revocation) and all three will have to be declared illegal and unconstitutional. This is a change of stance as till now the centre had said it was only opposed to triple talaq where a husband instantly gets to divorce his wife by uttering “talaq, talaq, talaq”. But when the apex court wondered whether there was any alternate remedy open to Muslim men to seek divorce in case all three types of talaq were done away with, Attorney General Mukul Rohatgi representing the Centre had said yesterday it will bring a law in this regard. Opposing the plea of seven aggrieved Muslim women who wanted the SC to scrap the practice, the Muslim Board says constitution does not touch upon personal laws and therefore the apex court too cannot adjudicate on issues like marriage, divorce and maintenance. Read the Argument notes of Kapil Sibal here.